Hello! !I am a teacher of english from morocco.I am happy to join the eslprintables community :)). 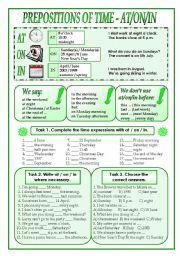 I´ve designed this worksheet for my students to have the rules about when to use at/on/in in time expressions and I´ve also included some practice tasks. 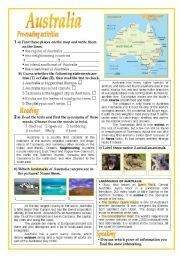 This is one of a series of worksheets I´m creating for my students. This one features meat,drinks,fruits & vegetables, and it has a fun fact at the bottom of the page. I hope you find it useful! 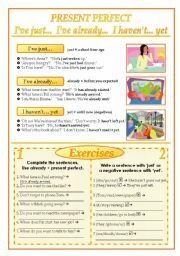 This worksheet is a basic guide how to use will in sentences for the future. There are also 3 tasks to complete. Hope you´ll find it useful. It´s a good worksheet to revise and practise clothes vocabulary in different ways(circling,puzzle,game,colouring and finding) ! 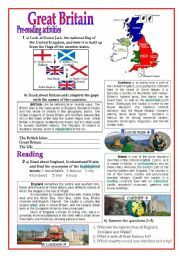 I hope you like it and find it useful! 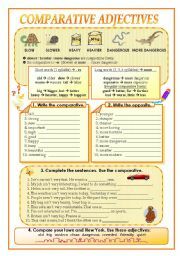 I´ve designed this worksheet for my students to have the rules about comparative adjectives and I´ve also included some practice tasks.